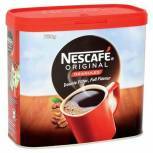 Nescafe Instant Coffee Granules 750g 12283921 Pack of 1 Nescafe Original Coffee. Instant coffee granules with a rich tasting, smooth flavour. 750g - approx 420 cups. Non returnable. Nescafe Gold Blend Coffee 750g 12284102 Pack of 1 Nescafe Gold Blend Coffee. Freeze dried instant coffee with a rich body and a smooth flavour. 750g - approx 420 cups. Non-Returnable. 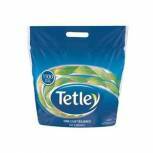 Tetley One Cup Tea Bags Catering (Pack of 1100) A01161 Pack of 1 A high quality blend of Assam, African and Ceylon teas. Designed to be brewed in the cup. Comes in a resealable catering bag. Taste tested 8 times over to guarantee flavour. Supplied in a pack of 1100 bags. Non returnable. 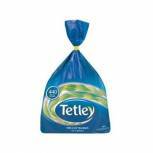 Tetley One Cup Tea Bag (Pack of 440) A01352 Pack of 1 A high quality blend of Assam, African and Ceylon teas. Designed to be brewed in the cup. Comes in a resealable catering bag. Taste tested 8 times over to guarantee flavour. Supplied in a pack of 440 bags. Non returnable. 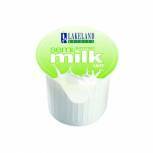 Lakeland Semi-Skimmed Milk Pots (Pack of 120) A00879 Pack of 1 Milk pots perfect for tea and coffee. Heat treated to add longevity. Closed design prevents contamination. 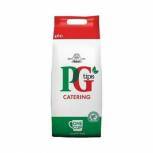 Provides the perfect portion for tea and coffee. Ideal for use in hospitality & catering. 120 semi-skimmed pots. Non returnable. 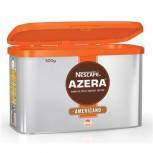 Nescafe Azera Americano Instant Coffee 500g Tin Pack of 1 A tasteful blend of instant coffee and finely ground roast coffee beans, giving you a full bodied flavour, enticing aroma and an irresistible layer of velvety coffee crema. Non returnable. 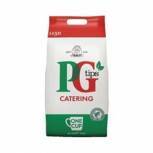 PG Tips Pyramid Tea Bag Pk1100 67395661 Pack of 1 PG Tips large pack of tea bags. One tea bag makes one perfect cup of tea. Pack perfect for busy offices. High quality taste. Comes in a large 1150 pack. Non returnable. 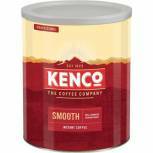 Kenco Really Smooth Freeze Dried Instant Coffee 750g 61677 Pack of 1 Kenco Really Smooth Coffee. Freeze dried instant Coffee. Superior blend of the finest Coffee beans expertly roasted ensuring a smooth. Rich cup of Coffee. Supplied in a resealable tin. 750g. Non-Returnable. 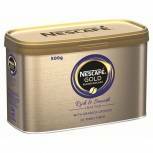 Nescafe Gold Blend Decaffeinated Instant Coffee 500g 12284222 Pack of 1 Nescafe Gold Blend Decaffeinated Coffee. Naturally decaffeinated instant coffee granules that are blended and golden roasted for a high quality. Smooth flavour. 500g - approx. 277 cups. Non-Returnable. 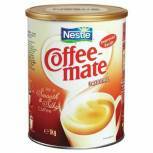 Nestle Coffee-Mate 1kg 12057675 Pack of 1 Nestle Coffee Mate. A smooth. Delicious and creamy tasting creamer. Perfect for a velvety smooth cup of coffee. 1kg tub. Non-Returnable. 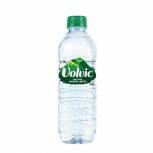 Volvic Water 50cl (Pack of 24) 11080022 Pack of 1 Volvic mineral water. Unique and delicate taste. Slowly filtered through volcanic rock. 50 centilitres. Non returnable. 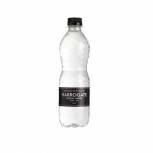 Harrogate Still Spring Water 500ml Plastic Bottle (Pack of 24) P500241S Pack of 1 Harrogate Spa Still Mineral Water 500ml. Prize winning, pure tasting water. Naturally rich in magnesium and calcium, with low sodium levels. Pack of 24 plastic bottles. Non-Returnable. 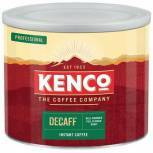 Kenco Decaffeinated Freeze Dried Instant Coffee 500g 88633 Pack of 1 Kenco Decaffeinated Coffee. The finest Arabica beans are decaffeinated. Then expertly roasted to capture the smooth. Deliciously light Kenco taste. Supplied in resealable tins. 500g. Non-Returnable. 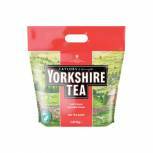 Yorkshire Tea Tea Bag (Pack of 600) 5006 Pack of 1 Yorkshire 1-Cup Tea Bag. 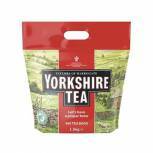 Yorkshire Tea uses only the very best teas from Africa. Assam and Sri-Lanka to create a carefully balanced blend. A proper tasting cuppa. Pure and simple. Non-Returnable. 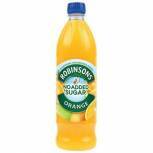 Robinsons Orange Squash No Sugar 1 Litre 4113 Pack of 1 Robinsons No Added Sugar Orange Squash. Concentrated low calorie orange soft drink with sweeteners. Contains naturally occurring sugars. Dilute with water. 1 litre bottle. Non returnable. 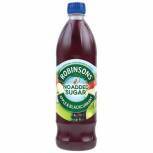 Robinsons Apple/Blackcurrant Squash No Sugar 1 Litre 402013 Pack of 1 Robinsons No Added Sugar Apple and Blackcurrant Squash. Concentrated low calorie soft drink with sweeteners. Contains naturally occurring sugars. Dilute with water. 1 litre bottle. Non returnable. 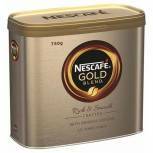 Nescafe Gold Blend Coffee 500g 12284101 Pack of 1 Nescafe Gold Blend Coffee. Freeze dried instant Coffee with a rich body and a smooth flavour. 500g - approx 227 cups. Non returnable. 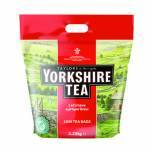 Yorkshire Tea Soft Water Tea Bags (Pack of 480) 1127 Pack of 1 Yorkshire tea bags specially blended for use in soft water parts of the country. Makes a rich, satisfying cup of tea. Contains 480 tea bags. Non-Returnable.